Noam the Drummer put together this megamix of our new album, An Unwelcome Guest, essentially condensing an hour-long zombie-superhero-love-story concept album into 15 crazy minutes. In it, you’ll hear some flashes of the story, a few of our guests (Haley Bonar, Chastity Brown, Eric Blair of No Bird Sing; the album also features Big Quarters and Prolyphic, though they’re not in this mix) and an idea of how the album as a whole sounds. We’ll be releasing the LP in December on Tru Ruts/Speakeasy Records. Think of this as the trailer. – Kyle “Guante” Myhre. To hear the megamix, link here. 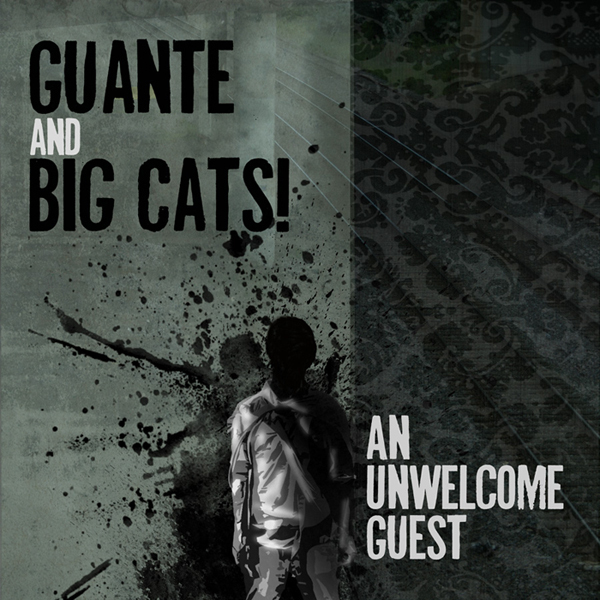 “An Unwelcome Guest,” the zombie-superhero-love story hip hop concept album from Twin Cities duo Guante & Big Cats!, wrapped recently after a couple of grueling sessions at Ben Durrant’s Crazy Beast Studio. While the album itself won’t be released until late 2009, label Tru Ruts/Speakeasy Records is leaking the guest roster now. 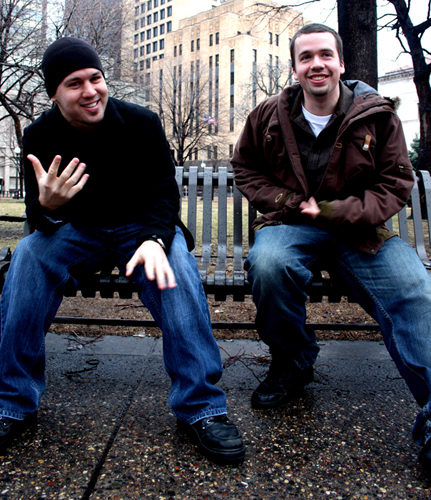 The Twin Cities vibrant hip hop scene is well represented by guest spots from Big Quarters (on “The Stockholm Syndrome”) and Eric Blair of the bands Hyder Ali and No Bird Sing (on “Yes God is a DJ; No, Not a Good One”). All three emcees get to flex their creativity and develop characters that fit into Guante’s overarching narrative, the story of one man traveling from east to west in the wake of a man-made disaster. Finally, Strange Famous (home of Sage Francis, B.Dolan and Doomtree’s Cecil Otter) recording artist Prolyphic delivers a fiery storytelling verse alongside Guante and Big Quarters on “The Stockholm Syndrome,” a track about survival at all costs. Add to this the beat-making talents of Big Cats! 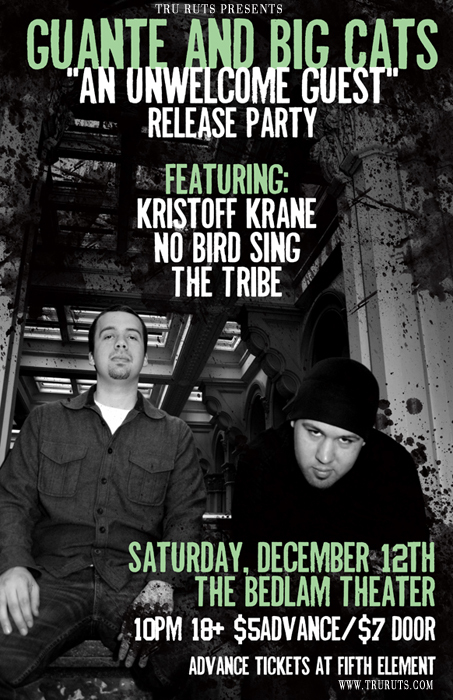 and the critically acclaimed lyrics and vocals of rapper, slam poetry champion and activist Guante, and you’ve got a potent mix. 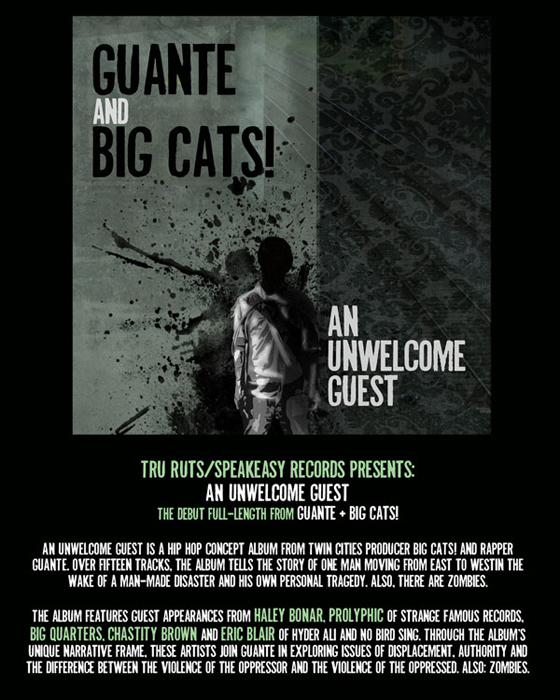 “An Unwelcome Guest” will be out late in 2009 on Tru Ruts/Speakeasy Records. For further updates, check out http://deadrunning.blogspot.com and http://www.truruts.com.